We began our strategic thought partnership with Full Circle Fund in the Fall of 2016. The organization was primed with new leadership and a renewed vision. Though always a member-driven, philanthropic nonprofit, the board and staff wanted to do a better job of being inclusive of varying communities as well as more effectively illustrate their ability to convene, connect and catalyze Bay Area changemakers. The Georgetown Law Center on Privacy & Technology is a think tank focused on privacy and surveillance law and policy. 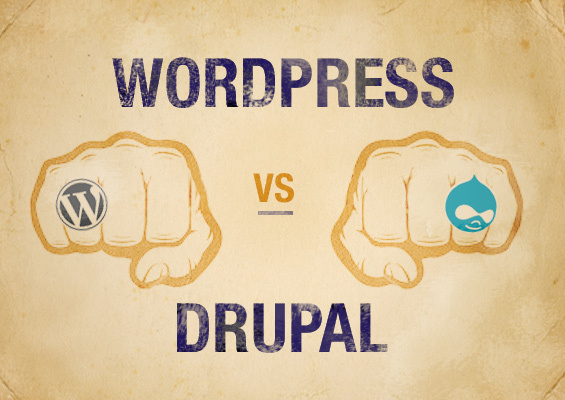 Drupal or Wordpress: it is the age old question that Rootid gets from our clients consistently. They both have their strengths and challenges, so we have put together a series of questions to help you decide which content management system may be better for you. If you Google Drupal vs Wordpress, you will see the full vigor with which this debate rages across the internet. Rootid works in both Wordpress and Drupal, so we are the Switzerland of the debate, so to speak. Over the years we have come up with a series of questions to help determine the requirements our clients have for their website project. It’s important to note that these are a starting point for the conversation. Knowing more specifics about your project would be vital in making this decision. Below are some questions that will help you get started. Generally speaking, Drupal performs better at larger scales, especially if you have a lot of different types of content (think events, news, press releases, blog posts, etc.). Though Wordpress has made huge strides in this over the past several years, our opinion is that if you have over 500 pages (this is a recommendation not a hard stop), and you produce content consistently in a lot of different areas, Drupal will do a better job of managing and delivering that content. On a scale of 1 to 5 how technically savvy would you consider your staff (1 being a technical neophyte)? Wordpress has a reputation for having a better WYSIWYG editor (think of the interface you use in your email - that’s a WYSIWYG editor). In our opinion that’s true. Though Drupal has made a lot of strides in this area, especially in Drupal 8, Wordpress really takes the cake in this area and therefore is better for less technical teams. Also, the way that Wordpress allows you to manage layouts on the page using shortcodes, and manage media through their WYSIWYG editor, makes it a better choice for users that might be less technically savvy. Will you be maintaining the software, or do you have a budget for developers to maintain the site? Open source software, just like any other software, is really important to keep up to date. Updates help maintain the security and efficiency of your website. At Rootid, we always recommend that you have a development team run the updates, as sometimes bugs are introduced that need patches applied. Think of it like buying a car - there are continued maintenance costs to make sure your car runs safely and effectively. Build this into your web budget! If your team does decide to run the updates yourselves, do it on a development server first, if case bugs are introduced. Generally, if you are going to take on this responsibility, we find Wordpress easier to manage for updates. How many internal users will be using the site? How many authors vs roles (editor, contributor, member, etc.)? Though Wordpress does have a lot of plug-ins for building complex user roles on your site, Rootid believes that Drupal manages different roles and users configurations better than Wordpress. Drupal has the user permissions structure built directly into the core software and can get extremely granular with what users are allowed to do. This allows administrators to fine tune what different users and roles are allowed to do. Does the site need to be internationalized? If you need to have a website that can be displayed in multiple languages, Drupal takes the prize. Again, Wordpress does offer a plug-in for internationalization, but we’ve found that Drupal’s internationalization module performs far better than its Wordpress counterpart. If you want to integrate your CRM into your website, I would recommend that you do deep research on how it integrates into Drupal and Wordpress. Most of the major CRMs, like SalesForce, Sugar, Salsa, etc. integrate into both Drupal and Wordpress on some level. But those integrations are not all created equal. Be sure to sit down with your internal team, and your web development team to generate clear technical requirements about your integration needs before deciding which CMS is best for you. I would call this a tie for the two CMS’s, but we bring it up to point out that this could be one of the most influential parts of the decision. So, do your homework! Or, have someone guide your team through a technical requirements discussion. Is your current website run by a CMS? If you are currently using Drupal or Wordpress there is a lot of value in keeping a CMS that you currently use. Unless your current CMS is woefully under serving your needs, or it does not align with your vision for the future of the website and your technical needs, we recommend keeping what you have. “If it ain’t broke, don’t fix it,” so to speak. Note that if your looking for a re-development because your business processes aren’t working with your current CMS, that doesn’t necessarily mean that you’re using the wrong CMS. There are a million different ways to build a workflow in both of these CMS’s, so do your due diligence to put together technical requirements, map out workflows, and assess what is and is not working before making a decision on any tool. With that in mind, you should know the soft costs associated with re-training your staff and changing your business processes can be a large. It takes a lot of time and company resources to train staff on a new CMS. Finally, the hard costs of migrating content from one system to another, can also be large if you have a lot of content to move. Your CMS is going to be critical to raising donations online. The technology and strategies are always changing the best way to raise money online. That's why Rootid put together this comprehensive guide to provide simple solutions that help you raise more money. Most are easier than you might think. The David Brower Center stands as a monument to the environmental movement by fostering the environmental community at large and incubating some of the most impactful new environmental organizations in the country. The Brower Center’s staff approached Rootid with a challenge: build a brand that truly represents the thought leadership with which the organization had become synonymous, while reinventing the site infrastructure to provide its community what it needed. Hiring a web development firm to design and build a website can be daunting—time consuming and resource intensive. Finding a development company to work with can feel a like finding a mechanic you can trust to work on your car. Here are six questions that will give you confidence to start the process today. 1. Where is the site going to be hosted? Your site has to live somewhere, some organizations handle hosting themselves, but most don’t. I would argue that virtually none should. Hosting a website sounds trivial at first, but it can have a lot of hidden complexities. You don’t need to have a host lined up before hiring a firm, but you should ask teams you’re interviewing for a web development project which host they recommend. Experienced teams will have one or more that they enjoy working with, and will steer you away from places they’ve had problems with in the past. Start with the assumption that worst case scenarios will happen frequently. If your whole site were to be erased, how much data loss is acceptable, and what is the minimum you need for a satisfactory recovery? Do you want to be able to review changes privately before making them live on your site? Some hosts have a built in workflow that includes testing and development sites that are automatically configured. This makes it easy to review a site in a place that isn’t as public as your main domain name. Any development shop worth anything will set this up on their end to show you the site before making it live, but having this built into your hosting means you can try out changes yourself before making them live and/or your development site can survive past a shop moving on to other jobs. How much traffic do you expect your site to get and can the web host handle it? Some organizations will get a handful of hits per month and virtually any web host will be adequate for their site, others will get a constant stream of hits and will need a robust web server that is configured to handle that volume of traffic. Generally speaking, if you’re getting more than a couple hundred hits a month, a shared server (GoDaddy, BlueHost, HostGator…) is off the table and should not be considered. Often we see clients looking for the cheapest hosting option, but we tend to warn them away from the cheapest. Cheap often comes with downsides: security vulnerabilities, performance issues and the additional costs associated with lack of developer tools. Usually paying a little extra for a better server and better tool sets will actually save you in the long-run. Think strategically. Cheap has its costs. 2. How are website software updates handled? A content management system (CMS) is a software package. Just like your phone, or computer, it needs to be updated. These updates can have implications for ongoing costs to the site. Security vulnerabilities will be found and your site can be hacked into if they aren’t fixed. If you’re thinking “That doesn’t matter to me, there’s nothing mission-critical on my website” then you’re wrong. Your website forms a part of your official identity, a hacker could alter the content of your site, or cause your site to redirect to material that could hurt your reputation. If you have a technical person on staff you may be able to handle these updates internally, if not, then you need to have a plan for site updates. Some firms will offer maintenance contracts to handle site updates, some will tell you that you’re on your own. Either way, before you commit to working with a shop, make sure you know how you’re going to handle your site updates. 3. Who is responsible for writing your website’s content - internal or contractor? Web projects can take a lot of time. Depending on the size that means weeks to months, maybe much longer. While your developers are working on the designs and code for your site you should be working on the content. We advise clients to start writing content as soon as the sitemap is in place. Finding good photography. Sometimes you need to generate more. Passing content to management and higher-ups to approve writing. Bottom line: Do not leave this until the last minute. 4. Who is your point of contact with the web development shop? Who is their point of contact in your organization? Things will work easier if both parties have one person to serve as a point of contact for the other. If possible, these two people should be passing most of the communications to each other. This is not to say that this is the only direct contact happening, and it shouldn’t be. There will be times that an in-house designer will need to pass on design notes to the designer working on the project, or people in your organization testing the site will need to pass on bug reports to the developer. But what you want to avoid is having people on your end communicating directly with the developer asking for changes to features, or even entirely new features. That can lead to absolute chaos, as people in your organization may not know what the scope of your contract with the developer is, and now could be asking them to change or build something costly. I personally have gotten requests from people working for our clients that would have added thousands of dollars to the budget of a project. Anytime I get requests for alterations or additions from someone who isn’t the point person, I make sure to ask the point person about it and make sure it’s ok, but not everyone is going to be so careful. 5. What tools does this shop use to facilitate communications? Big projects, no matter what kind, can be messy. They take a lot of time, involve a lot of people, and iterations of design, development, and testing. Keeping your communications organized will be critical. Working with a firm that has addressed this problem and can tell you what tools they use is very important. If you ask about tools they use to facilitate communications and you hear, "Email" in the response, that’s a red flag. At the very least you should have access to a task management system, hopefully one that can double as an issue tracker. Ideally, some kind of project-centric instant messaging service should be in there as well, but that isn’t as essential. Generally, you want to avoid situations where communications can be lost, or multiple threads of conversations can happen about the same topic. If I email the designer about a header image, and the designer emails you about it, that’s now two threads of communication about a single topic. The designer isn’t a super-human, that person needs to remember which decisions have been made about that header image. They may remember something got said in 'some email,' but can’t remember to who or when. With a task management system you have a Header Image task, and everyone just comments there about the header image. Everyone sees everything being said about it, so you all remain on the same page. 6. What are you trying to accomplish with your website? You need a website, but why? What do you want out of it? A good web development shop will ask you this question, a great one will help you answer it by interviewing stakeholders, customers/constituents, and board members. But in all reality, you should have a handle on this before you even sit down with a third party. A good place to start is by finishing this sentence: “When someone visits our website I want them to _____”. We often suggest to clients to think about the top 3 things you want site visitors to see and do and focus on those. A lot of organizations can end up with unfocused sites—huge things that try to be and do everything. Or they end up with iceberg sites, where there’s a vast amount of content hidden beneath a deceptively sparse homepage. Think about it this way: Do you want people to be signing up for your email list? Then highlight the signup form so you see it immediately when the page loads. Do you have a large media library you’re trying to have accessed? Don’t hide the only link to it in a dropdown menu, highlight it multiple times on the homepage with some kind of featured item area, and maybe a slider that highlights categories. Looking for donations? Make it impossible to miss the donate button and highlight what donations are being used for with your site. A good firm will help you think strategically about your web development goals and flesh out a strong plan of action. 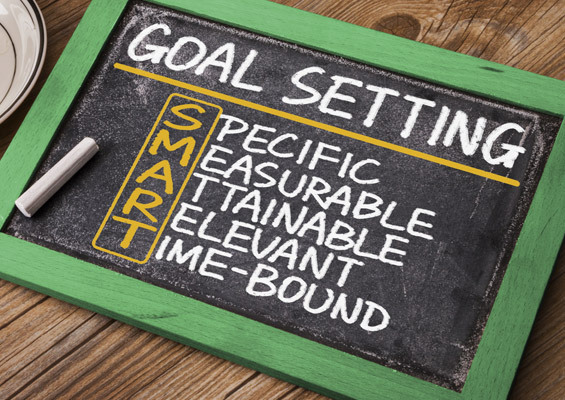 Ultimately, you should have a handle on your goals before talking to anyone. No one knows your organization like you do, so getting this legwork done before hiring someone else will mean that you’re going to get more for your money in the long run. Of course, if you need additional help, or have more questions. Contact us! Law enforcement agencies are acquiring and using surveillance technology, often without the knowledge of local government and the communities they represent. The ACLU Washington affilit wanted to build a website where visitors could learn about the technologies and the issues surveillance technologies present, and get recommendations on how to protect their civil liberties. American Rivers protects wild rivers, restores damaged rivers, and conserves clean water for people and nature. Since 1973, American Rivers has protected and restored more than 150,000 miles of rivers through advocacy efforts, on-the-ground projects, and an annual America’s Most Endangered Rivers® campaign. Created by the ACLU of California, The Privacy & Free Speech Primer draws more than 100 case studies to develop specific recommendations that companies of all sizes can implement, including an expanded free speech section addressing issues related to online moderation and censorship. The tools in this guide can help companies make the smart, proactive decisions necessary to avoid problems, protect users, and grow their businesses. The purpose of TeenSource.org, an online resource developed by the California Family Health Council, is to improve the health and well being of young people in CA by providing non-judgmental, accurate, and reliable sexual and reproductive health information and resources. Wouldn’t it be great if you organize and sort your Google Analytics data in more detail so we could understand which campaigns and marketing channels were most effective in moving your nonprofit’s mission forward? With Google Analytics UTM tags, you can! UTM tags are an easy way to figure out what marketing activities are working and what is not. The good news is, if you have Google Analytics installed on your nonprofit’s website, then you already have the capability to see this information in your reports. No additional installation needed! By using UTM tags your data reports will be richer and will help your team make better data-driven decisions about your nonprofit marketing campaigns. What Does a UTM Tag Look Like? UTM tags are a set of information that we can add to the end of links in your emails, social posts, and anywhere else you’re using links in your digital marketing. The information added to the end of the link will tell Google Analytics more granular information about which campaign and marketing channel a user came from when they entered your website. Below is a breakdown of what a link looks like that includes UTM tags. As nonprofit marketers, we spend a lot of time creating content, designs and strategizing about the messages and channels that are going to increase our mission impact. These days, it’s common to be performing these tasks across multiple campaigns and digital channels. We also often have multiple posts, emails or content pieces that are associated with one campaign. How do we know which channel or content piece worked best? UTM tags provide granular data in Google Analytics about which marketing channels, campaigns, and even specific messages are most effective in driving results. For instance, if we performed an analysis of the data for our website over the past year, what could we see and how could we use it? Imagine that we are running a donor acquisition campaign. In this campaign we are using Google Ad Grants and Facebook advertising to drive awareness about our mission, and capture potential new donors. Not only could we compare our acquisition success between Google Ads and Facebook, but we could also see the specific ad content that drove the most successful in each acquisition channel. Let’s then say after we acquire these new donors, we send them through an email automation series that welcomes donors to the organization, and asks them to engage in some new way. Let’s imagine that engagement campaign employs multiple channels - SMS and email. Looking through our data when we use UTM tags, we could find out whether SMS or email where more effective in getting these new donors to take the next engagement step. So, what does this situation mean? If we saw that SMS is driving more new donor engagement, then not only can we better understand our donors using data, but we can also spend more time focusing on SMS since it drives more value. Given the data, how can we leverage SMS marketing more? Which SMS messages worked best in our campaign? We can see answers to all of these questions in our reports thanks to UTM data. In this example, you can see how powerful this type of information could be. UTM tags communicate several different data points to Google Analytics. These data points allow you to drill down to find out performance of specific campaigns, sources (or platforms), individual posts or email, and even individual links within a marketing post/email. Campaign Source – this should be the platform (or vendor) where the traffic originates, like Facebook, Twitter or your email newsletter. Campaign Medium – Identify the medium like Cost Per Click (CPC), social media, social ad, blog post. Campaign Term – You’ll use this mainly for tracking your keywords during a paid Google Ads campaign. If you’re not using paid CPC advertising, you can ignore this for the most part. Campaign Content – If you’re A/B testing ads, then this is a useful metric that passes details about your ad. You can also use it to differentiate links that point to the same URL. For instance, if you have a link at the top of an email and at the bottom of an email that go to the same place, this can help you figure out where users are clicking. When you look at the example of what a UTM tag looks like, it’s pretty complex. The good news is that there are lots of tools out there that can help you construct the links, so you don’t have to remember the structure. There are a few tools that can help you build and manage them. Google campaign builder is really easy to use. It will always remember the last data that you put into the tool the last time you used it. The main drawbacks of this tool are that if you’re like many marketers, you’re managing several campaigns at once. This means that you have to remember the structure several campaigns to be consistent. Also, you can’t use this tool with a team and ensure that your UTM tags are consistent. 2. You can also use the Effin amazing UTM Builder Chrome extension for UTM links. This tool will auto-populate the URL and saves your most popularly used terms as presets. You can use the UTM management Google Sheet that our team uses to generate UTM tags is our favorite way to manage UTM tags. First, it will help you manage your links when you have a team of marketers posting. UTM tags are most effective when you consistently use the same formatting and spelling for particular campaigns. This spreadsheet will help achieve that. Second, it helps you avoid spelling mistakes (more about this in the Common Mistakes section below). Lastly, it will help later when you go back to review your data. If you are like most nonprofit marketers, you probably have several different campaigns going on at the same time. By using this spreadsheet, you will be able to refer back to a list of campaigns that you may have at any given time. The example spreadsheet is easy to copy and use at your organization. To be most effective, you need to be sure that everyone on your team is on the same page and following the same best practices. 1. Use standard naming convention for your UTMs. You are probably not the only one on your team building links, so make sure there are guidelines about the structure of your tags. Pro Tip: Using “+” symbol will add a space to your data, which makes them easier to read in Google Analytics reports. Try to avoid using the characters “-” or “_” in the names if you can avoid it. This will reduce potential confusion on your team. Google Analytics views tags that have capitals and tags that are lowercase differently. For example, utm_source=eMail is different from utm_source=email. Or, utm_source=LinkedIn is different from utm_source=linkedin. Using capitals sometimes and lowercase sometimes will mess up your reports. If you used utm_campaign=donor+acquisition and you used utm_campaign=Donor+Acquisition you would see in Google Analytics that you have two different lines for that campaign. That’s bad data which will mess up your reports. This will make your data harder to analyze. 3. Keep your URLs clean, descriptive, non-redundant and easy to read. Avoid using the same word or vendor name in two different tags. This is redundant and will make your data confusing. As we mentioned before, you likely have many people building tags, so it is critical to keep your tags organized. Meaning, to maintain actionable data in your Google Analytics account, you will need to make sure you use of UTM tags consistently. Our recommendation: keep a spreadsheet of links that have been used. Not only will this help with your team being consistent. The best tool for this is a this free link tagging tool by Rafflecopter to get started. Copy this Google Doc (you can download it as a Word Doc if you do not use Google Docs), and use it to manage the links. You want your UTM links to span multiple mediums. That’s one of the purposes of UTM - track how each channel contributes to a specific campaign. If you tag your links correctly, you should have beautiful and meaningful data. 2. Double check your spelling when using Google Analytics UTM tags. If you have multiple administrators creating tags, or you are building lots of tags each day, it’s easy to make spelling mistakes using something like the Google URL builder. Especially when you have long campaign names, becomes very easy to mistype something (curses on those fat thumbs!). The nice thing about using the custom spreadsheet we shared is that it parses out each portion of the UTM tag, so it’s easy to see what you are typing and where mistakes might arise. This will guarantee that your Google Analytics data clean. Unfortunately, we have seen clients that add tags to their main menu, or buttons on their homepage. Why would this matter? We want to know how users are moving through our site, right? True. However, if a user clicks on a link on your Twitter account that is properly using UTM tags, and then clicks on the button on your homepage that have different UTM tags, the original Twitter UTM data will be overwritten. This means the most meaningful part of the data - the specific channel and the specific campaign that got the user to your site - is now erased. Your reports will not show this meaningful data anymore. You should never use campaign tagging for internal links! You Understand UTM Tags. Now What? Good news! You’re now on your way to effectively utilizing UTM tags. Next, is leveraging that information to make data-driven decisions. This requires good reporting, and building data dashboards for your teams so they have access to data without logging into Google Analytics. Google Data Studio is a great tool to build custom dashboards for your team. Even better, download our Google Data Studio nonprofit dashboard template, and customize it to your organization’s needs. Watch our video on how to set it up.